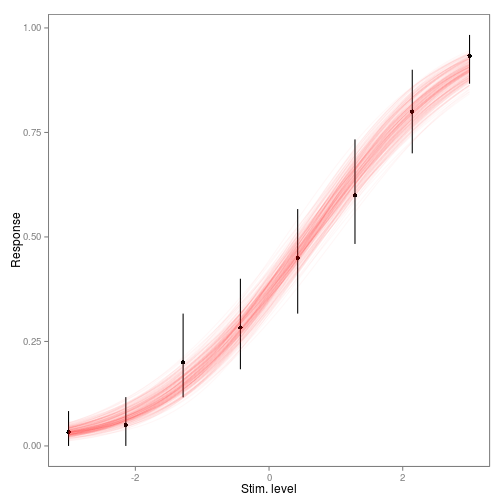 STAN is a new system for Bayesian inference, similar to BUGS and JAGS. I’ve played with it a bit and it’s quite promising, it really has the potential to make MCMC less of a pain (on simple models). I’ve written a short introduction to fitting psychometric functions using STAN and R, in case that’s useful to psychophysicists out there. To leave a comment for the author, please follow the link and comment on their blog: dahtah » R.